On one hand, physicians are highly attuned to the intricacies of a healthcare provider’s main purpose, which is to keep people healthy. On the other side of the argument, healthcare is still an industry, and in capitalist economies, environments as complex as hospitals need to be as efficient as possible in operations and spending. The thing is, the data tends to support physician-driven care. One recent study found that physician-run hospitals have 25% higher quality scores than those run by managers. Not to mention, the top two hospitals in the United States, the Mayo Clinic and the Cleveland Clinic, are both run by physicians. In fact, in general, it’s widely believed that physician-led healthcare works because doctors respect other doctors, which makes a lot of sense. Physicians in leadership positions are often seen as experts in their fields and have credibility because they have first-hand experience in the trenches of healthcare. As a result, they can trust that their leadership is going to fight for -- or against -- policies, products and processes that will help them get their jobs done more efficiently and with less burnout. 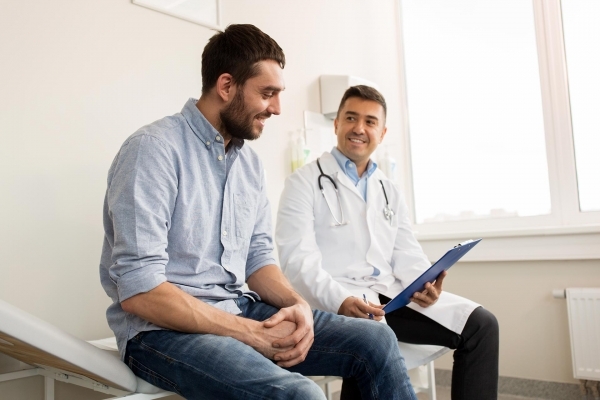 On top of how they better connect with their peers, physicians in leadership are also found to be more patient-driven than profit-driven, which, though it may give the Director of Finance a bit of heartburn, actually helps improve staff engagement and buy in. The good thing for your finance guy is that, in many ways, the benefits that can come from better staff engagement can cure what ails him. One study found that organizations with engaged employees perform over twice as well as those that have employees who simply aren’t motivated enough to carry out mission-critical tasks. In other words, more revenue is better than a Tums. At the end of the day, while the research seems to point to the fact that physicians should lead the charge when it comes to healthcare, not every clinic can be like the Mayo or Cleveland. Naturally, many hospitals will find that striking a balance between physician and non-physician leadership will lead to their success. Either way, as more and more physicians become decision-makers, it’s important to know that experience being a doctor alone is not enough to successfully run a healthcare facility. In order to do that, formal leadership training is needed so they can better understand all the background work needed to support a hospital’s mission. Here are three reasons your physicians need leadership training. In medical school, aspiring physicians are usually not trained to be managers or team players. In fact, they often come out of it the complete opposite, as lone healers who are collaboration-challenged. These qualities, of course, directly contradict those of a skilled leader. But with the right kind of training, physicians can overcome these blind spots. Take, for instance, the physician-managed Cleveland Clinic. When clinic administrators sought to better prepare its doctors for leadership, it started offering training in skills such as handling emotional intelligence, taking and using feedback, coaching, teambuilding, conflict resolution, and situational leadership. And it’s worked. The Cleveland Clinic annually ranks as a top-five hospital in America, and almost half of the participants of the training move on to successful leadership positions. A recent Ernst and Young study found that less than half of professionals they surveyed trusted their employer, boss or team. And that’s a major problem, especially as hospitals move toward care models that are more team-based than individual. One of the top reasons employees lack trust in their leadership, the study found, was that they simply don’t find them to be good leaders. Poor leaders often don’t listen, don’t motivate and don’t communicate well. All of these qualities lead to employees operating on fear and a lack of confidence in their work, which causes morale to plummet and then engagement and performance to suffer. From there, the common result is disengaged workers, frustrated managers and freefalling profits. Leadership training has time and again been proven to yield real financial results. In one case study, decision-makers who participated in a leadership course went on to implement processes that improved the bottom line by almost $400,000. They also saw an overall lift in profits of 15% throughout the next year. But the benefits weren’t just monetary. Leaders reported growth in their own self-confidence, innovation, collaboration, initiative and ownership of calculated risk. Improvements in leadership qualities such as these trickle down to the people who are under their guidance. In hospitals, that means better work across the entire patient flow. Physicians bring a lot to the table when leading healthcare organizations. They have the medical expertise. They have the perspective of the front lines. They carry with them a patient-first mentality. But despite all their extensive training to understand the complexity of the human body, many still struggle with understanding the mindsets behind management strategy, conflict resolution, teambuilding and other elements that are critical to being an effective leader. To find out how your organization can get physicians to become better leaders, send us a message at Info@DavidCouperConsulting.com.